Dinosaur Museum is a unique family attraction in Branson where you can have fun and discover the facts of the largest creatures that have ever lived on earth. The museum is filled with everyone’s favorite colossal creatures and offers a self-guided tour where you get to discover everything from the gigantic, ferocious looking Tyrannosaurus Rex (T Rex), to the tiny, one-foot-tall microraptor. The dinosaur displays have all descriptive details to help give visitors know the answers to their questions, making it both entertaining and educational tour. The extinct creatures that are on display in the museum were each lovingly created by trained paleoartists who carefully fashioned molds from original dinosaur skeletons. The vast display of a wide variety of dinosaurs features a stunning look of a real recreation of each creature. The Dinosaur Museum also features a learning center, a gift shop, a fascinating fossil exhibit, and a special area that can accommodate parties such as birthday, anniversary and even reunion party. The museum also gives children the chance to enjoy the live dig for fossils, coloring stations and the prehistoric tour throughout the museum. This amazing dinosaur museum in Branson will let you see evidences of the most fierce animals that ever lived. The museum also features the largest collections of prehistoric animals in the world and offers hands-on activities for children such as educational HD movies show in the on-site theater, book reading and browsing in the gift shop, and more. 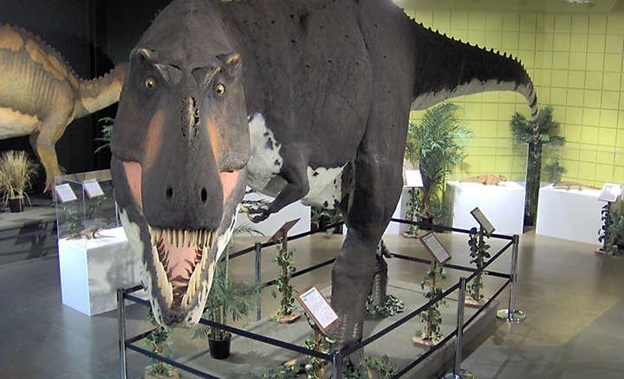 Dinosaur Museum truly offers the most entertaining educational exhibits in the Midwest. So bring everyone along for a fun experience with the fantastic exhibits of dinosaurs. Dinosaur Museum offers visitors of all ages the most interesting facts about the 50 full bodied life size dinosaurs that are all displayed with full details. Each display represents the historic creature the way it was and each is constructed out from the actual dinosaur bones. After the forming of the bones, comes the building of the body that shows amazing detail in real life and as close to the actual size. Also featured in the museum is the LCD screen in each room that shows a narration explaining what the dinosaur could actually do or not do. “Scavenger Hunt Quiz” is another interactive feature in the museum that gives visitors a unique fun way to learn more about dinosaurs. Considered as the largest of all dinosaurs and known as king of the meat eaters, the T-Rex also described as “tyrant lizard king”. When you walk around the museum and see T-Rex towering above everything, you are sure to feel a memorable and unforgettable experience. If you want to look for the best spot to take picture of the T-Rex, head on to the lobby of the museum where the biggest dinosaur is wonderfully displayed. To see the largest extinct creatures that have ever lived on earth, visit the Dinosaur Museum in Branson where you can have the chance to view a wide display of prehistoric dinosaurs.